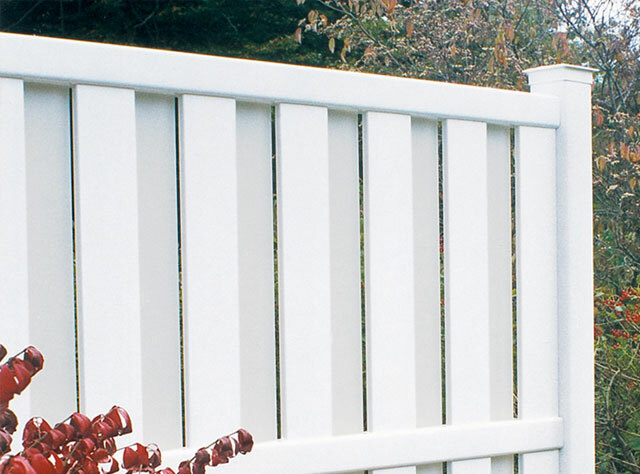 The Columbia fence has wide, staggered pickets for pleasing dimensional look. Each picket is 6 inches wide with 4-9/16″ of an inch spacing. The thru-picket “good neighbor” design is attractive on both sides. Backed by CertainTeed’s lifetime limited warranty with SureStart™ parts and labor protection, you can rest assured that your fence is covered. 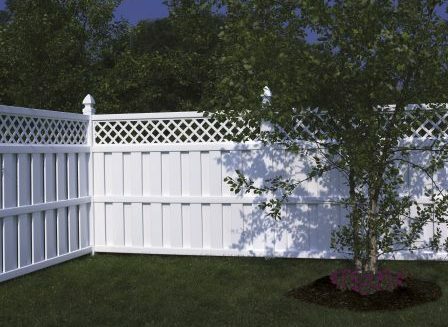 This style of fence offers WindZone™ performance. The Columbia is only available in White. Bufftech fence is designed for exceptional performance. Premium features such as high-quality raw materials, steel reinforced rails, heavyweight pickets, routed rails and fence posts and concealed fasteners ensure that Bufftech will outlast and outperform other semi-private vinyl fences.